The gallery offers skill development and discussion sessions to inspire and use artwork for cross curricular study and classroom practice. These sessions help you gain confidence in using an art gallery with your group and can be tailored to be specific to you. Scheduled twice a year, Spring and Autumn terms, our Teachers Coffee Mornings provide the opportunity for teachers to learn about our forward programme and what we have to offer schools. An exhibition tour is included, providing the perfect opportunity to network with other local teachers and plan in advance for your schemes of work. 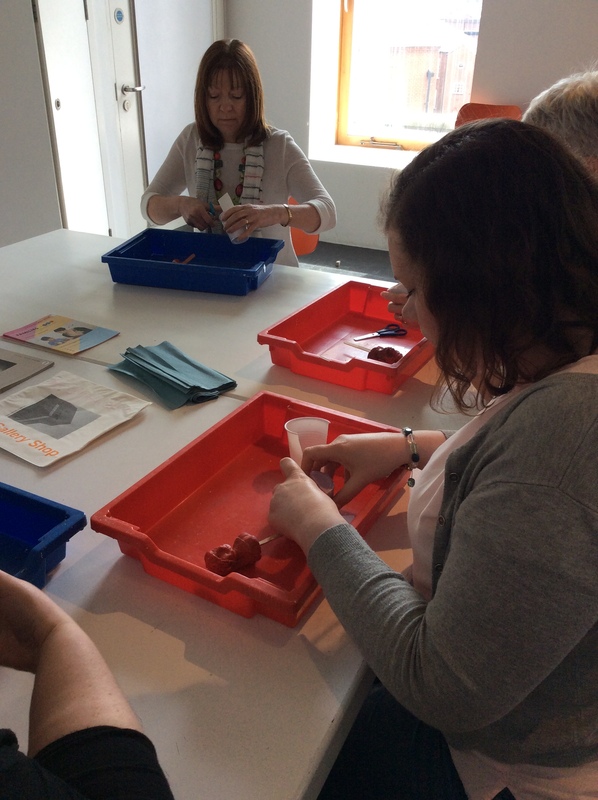 The New Art Gallery Walsall offers skill development and discussion sessions specifically for teachers to inspire and use artwork in your own work and classroom practice. These sessions help you gain confidence in art skills, understanding contemporary art and using an art gallery as a resource for your group. These workshops are bespoke and can last anything up to a whole day depending on your availability, and can be weekday, weekend or twilight. Sessions can be booked at your convenient. Minimum group numbers apply.